National Health Care Provide Solutions (hereinafter, the “Company”) is dedicated to providing all medical professionals with the highest quality online certification experience available. Our Empowerment Team is available to assist customers with one or all of the courses offered through our website. We invite any individual who creates an Account (as defined herein) on Company’s website (hereinafter, the “Customer”) to contact our Empowerment Team to resolve any issues that may arise. The Services (as defined herein) that Company provides to Customer are subject to the terms contained herein (hereinafter, the “Terms”). Company reserves the right to update these Terms at any time without notice to Customer. The most current version of the Terms can be reviewed by clicking on the ‘Terms’ hypertext link located at the bottom of our web pages. By using Company’s website (other than to read these Terms for the first time), Customer agrees to comply with all of the Terms. The right to use the products and/or Services provided by Company is limited solely to Customer and is not transferable to any other person or entity. Customer is responsible for all use of Customer’s account (under any screen name or password) (hereinafter, the “Account”) and for ensuring that all use of the Account complies fully with these Terms. Customer shall be responsible for protecting the confidentiality of password(s), if any. Company shall have the right at any time to change or discontinue any aspect or feature of Customer’s Account, including, but not limited to, content, hours of availability, and equipment needed for access or use. Through its website, Company provides Customer with access to a variety of resources, courses, programs, including download areas, communication forums, access to purchase and/or download materials such as handbooks or provider cards, and product information (collectively, “Services”). The Services, including any updates, enhancements, new features, and/or the addition of any new Web properties, are subject to these Terms. Customer shall use Company website and content for lawful purposes only. Customer shall not post or transmit any material which violates or infringes in any way upon the rights of others, which is unlawful, threatening, abusive, defamatory, invasive of privacy or publicity rights, vulgar, obscene, profane or otherwise objectionable, which encourages conduct that would constitute a criminal offense, give rise to civil liability or otherwise violate any law, or which, without Company’s express prior approval, contains advertising or any solicitation with respect to Services. Any conduct by Customer that in Company’s discretion restricts or inhibits any other customer from using or enjoying the products and/or Services will not be permitted. Customer shall not use the products and/or Services to advertise or perform any commercial solicitation, including, but not limited to, the solicitation of customers to become subscribers of other on-line information services competitive with Company. The Services may contain, but are not limited to, email, bulletin board, chat areas, news groups, forums, communities, personal web pages, calendars, photo albums, file cabinets and/or other message or communication facilities designed to enable customers to communicate with others (each a “Communication Service” and, collectively, “Communication Services”). Customer agrees to use the Communication Services only to post, send and receive messages and material that are proper and, when applicable, related to the particular Communication Service. Company has no obligation to monitor the Communication Services. Company reserves the right to review materials posted to the Communication Services and to remove any materials in its sole discretion. Company reserves the right to terminate Customer’s access to any or all of the Communication Services at any time, without notice, for any reason. Company reserves the right at all times to disclose any information it deems necessary to satisfy any applicable law, regulation, legal process or governmental request, or to edit, refuse to post or to remove any information or materials, in whole or in part, in Company’s sole discretion. Customer shall use caution when giving out any personally identifiable information in any Communication Services. Company does not control or endorse the content, messages or information found in any Communication Services and, therefore, Company specifically disclaims any liability with regard to the Communication Services and any actions resulting from Customer’s participation in any Communication Services. Any software that is made available to download from the Services is the copyrighted work of Company and/or its suppliers. Any reproduction or redistribution of the software is expressly prohibited by law, and may result in severe civil and criminal penalties. Violators will be prosecuted to the maximum extent possible. Copying or reproduction of the software to any other server or location for further reproduction or redistribution is expressly prohibited. Company disclaims all warranties and conditions with regard to the software, including all warranties and conditions of merchantability, whether express, implied or statutory, fitness for a particular purpose, title and non-infringement. Company may make available as part of the Services or in its software products, tools and utilities for use and/or download. Company does not make any assurances with regard to the accuracy of the results or output that may be derived from the use of any such tools and utilities. Please respect the intellectual property rights of others when using the tools and utilities made available on the Services. Permission to use certain documents, such as white papers, press releases, datasheets and FAQs (hereinafter, the “Documents”) is granted, provided that: (1) the below copyright notice appears in all copies and that both the copyright notice and this permission notice appear, (2) use of such Documents from the Services is for informational and non-commercial or personal use only and will not be copied or posted on any network computer or broadcast in any media, and (3) no modifications of any Documents are made. Accredited educational institutions, such as universities, private/public colleges, and state community colleges, may download and reproduce the Documents for distribution in the classroom. Distribution outside the classroom requires express written permission. Customer must obtain written permission from Company before using any documents not specifically identified in this paragraph. Use for any other purpose is expressly prohibited by law, and may result in severe civil and criminal penalties. Violators will be prosecuted to the maximum extent possible. Company and/or its respective suppliers make no representations about the suitability of the information contained in the Documents and related graphics published as part of the Services for any purpose. All such documents and related graphics are provided ‘as is’ without warranty of any kind. Company and/or its respective suppliers hereby disclaim all warranties and conditions with regard to this information, including all warranties and conditions of merchantability, whether express, implied or statutory, fitness for a particular purpose, title and non-infringement. In no event shall Company and/or its respective suppliers be liable for any special, indirect or consequential damages or any damages whatsoever resulting from loss of use, data or profits, whether in an action of contract, negligence or other tortious action, arising out of or in connection with the use or performance of information available from the Services. The documents and related graphics published on the Services could include technical inaccuracies or typographical errors. Changes are periodically added to the information herein. Company and/or its respective suppliers may make improvements and/or changes in the Services described herein at any time. Company does not claim ownership of the materials Customer’s provide to Company (including feedback and suggestions) or post, upload, input or submit to any Services or its associated Services for review by the general public, or by the members of any public or private community, (each a ‘Submission’ and, collectively, ‘Submissions’). By posting, uploading, inputting, or providing Submissions, Customer is granting Company, its affiliated companies and necessary sublicensees permission to use Customer’s Submission in connection with the operation of their Internet businesses (including, without limitation, all Company Services), including, without limitation, the license rights to: copy, distribute, transmit, publicly display, publicly perform, reproduce, edit, translate and reformat Submissions; to publish customer’s name in connection with Submissions; and the right to sublicense such rights to any supplier of the Services. In addition to the warranty and representation set forth above, by posting, uploading, inputting or providing a Submission that contain images, photographs, pictures or that are otherwise graphical in whole or in part (“Images”), Customer warrants and represents that: (a) Customer is the copyright owner of such Images, or that the copyright owner of such Images has granted Customer permission to use such Images or any content and/or images contained in such Images consistent with the manner and purpose of Customer’s use and as otherwise permitted by these terms and the Services, (b) Customer has the rights necessary to grant the licenses and sublicenses described in these terms, and (c) that each person depicted in such Images, if any, has provided consent to the use of the Images as set forth in these terms, including, by way of example, and not as a limitation, the distribution, public display and reproduction of such Images. By Posting Images, Customer is granting (a) to all members of Customer’s private community (for each such Images available to members of such private community), and/or (b) to the general public (for each such Images available anywhere on the Services, other than a private community), permission to use Images in connection with the use, as permitted by these terms, of any of the Services, and including, without limitation, a non-exclusive, worldwide, royalty-free license to: copy, distribute, transmit, publicly display, publicly perform, reproduce, edit, translate and reformat Images without having Customer’s name attached to such Images, and the right to sublicense such rights to any supplier of the Services. In no event shall Company and/or its respective suppliers be liable for any special, indirect or consequential damages or any damages whatsoever resulting from loss of use, data or profits, whether in an action of contract, negligence or other tortious action, arising out of or in connection with the use or performance of software, documents, provision of or failure to provide Services, or information available from the Services. Customer expressly agrees that use of the website and content is at Customer’s sole risk. Neither Company, its affiliates nor any of their respective employees, agents, third party content providers or licensors warrant that access will be uninterrupted or error-free; nor do they make any warranty as to the results that may be obtained from the use of, or as to the accuracy, reliability or content of any information, service, or merchandise provided. This disclaimer of liability applies to any damages or injury caused by any failure of performance, error, omission, interruption, deletion, defect, delay in operation or transmission, computer virus, communication line failure, theft or destruction or unauthorized access to, alteration of, or use of record, whether for breach of contract, tortious behavior, negligence, or under any other cause of action. Customer specifically acknowledges that Company is not liable for the defamatory, offensive or illegal conduct of other users or third-parties and that the risk of injury from the foregoing rests entirely with Customer. Neither Company, nor its affiliates, information providers or content partners shall be liable, regardless of the cause or duration, for any errors, inaccuracies, omissions, or other defects in, or untimeliness or inauthenticity of, the information contained within, or for any delay or interruption in the transmission thereof to the Customer, or for any claims or losses arising therefrom or occasioned thereby. None of the foregoing parties shall be liable for any third-party claims or losses of any nature, including, but not limited to, lost profits, punitive or consequential damages. Services are provided on an ‘as is’ basis without warranties of any kind, either express or implied, including, but not limited to, warranties of title or implied warranties of merchantability or fitness for a particular purpose. In no event will Company, or any person or entity involved in creating, producing or distributing the Services or the Company software, be liable for any damages, including, without limitation, direct, indirect, incidental, special, consequential or punitive damages arising out of the use of or inability to use. Customer hereby acknowledges that the provisions of this section shall apply to all content on the website. Links on Company’s website may take Customer to third party content. The linked sites are not under the control of Company and Company is not responsible for the contents of any linked site or any link contained in a linked site, or any changes or updates to such sites. Company provides such links to Customer only as a convenience, and the inclusion of any link does not imply endorsement by Company of such site. Customer agrees that by downloading Company’s mobile application or registering on the Company website for an Account, Customer is opting into email communication of any nature from Company. Customer further agrees that if they do not wish to receive such communication, they can opt-out of further communication by clicking the “unsubscribe” link at the bottom of any Company e-mail or contacting the Empowerment Team. Company shall have the right, but not the obligation, to monitor content, including chat rooms and forums, to determine compliance with these Terms and any operating rules established by Company and to satisfy any law, regulation or authorized government request. Company shall have the right in its sole discretion to edit, refuse to post or remove any material submitted or posted. Customer agrees to defend, indemnify and hold harmless Company, its affiliates and their respective directors, officers, employees and agents from and against all claims and expenses, including attorneys’ fees, arising out of the use of Company by Customer or Customer’s Account. Logos found on the Company’s website are trademarks of Company or are the property of their respective owners. All rights reserved. The names of actual companies and products mentioned herein may be the trademarks of their respective owners. The example companies, organizations, products, domain names, email addresses, logos, people and events depicted herein do not signify association. No association with any real company, organization, product, domain name, email address, logo, person, or event is intended or should be inferred. 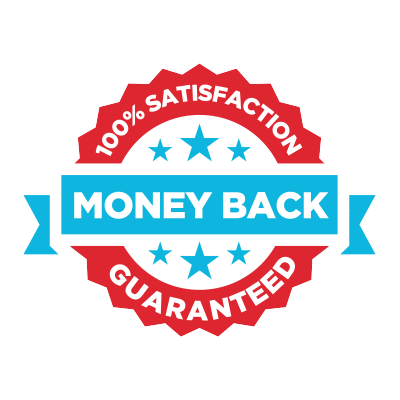 Company offers a 100% Money-Back Satisfaction Guarantee on all purchased Services for a period of six (6) months from the date of purchase. At the discretion of Company, Customer’s access to content may be terminated once a refund is issued. For further inquiries pertaining to purchase refunds, please contact a member of the Empowerment Team. Although Company intends to offer access to all purchased Services into perpetuity, Company does not make any guarantees or assurances as to the price or availability of Services. Prices are subject to change without notice. If a Service was purchased at a higher price point than is currently offered, there will be no price adjustment issued. Customer’s access to all purchased Services will apply so long as Company is operating and in business. In the event that Company stops operating or goes out of business, access to all purchased Services completed or incomplete shall be void without refund. Company may terminate this agreement at any time. Without limiting the foregoing, Company shall have the right to immediately terminate Customer’s Account in the event of any conduct by Customer which Company, in its sole discretion, considers to be unacceptable, or in the event of any breach by Customer of this Agreement.